Global Herbs Strongbone encourages strong joints and proper skeletal development. The herbs in Strongbone maintain the perfect balance of Calcium, Magnesium and Phosphorus, all of which are vital for healthy bones and joints, and works by attaching to the minerals in your horses diet, improving the way they are digested. Strongbone is more effective than feeding Limestone to support natural bone growth as Limestone is not easily absorbed by the horse. This Global Herbs joint supplement can be fed to horses of any age; in young horses it is ideal for encouraging healthy, natural bone growth, whilst in older horses it helps to ensure joints remain strong. 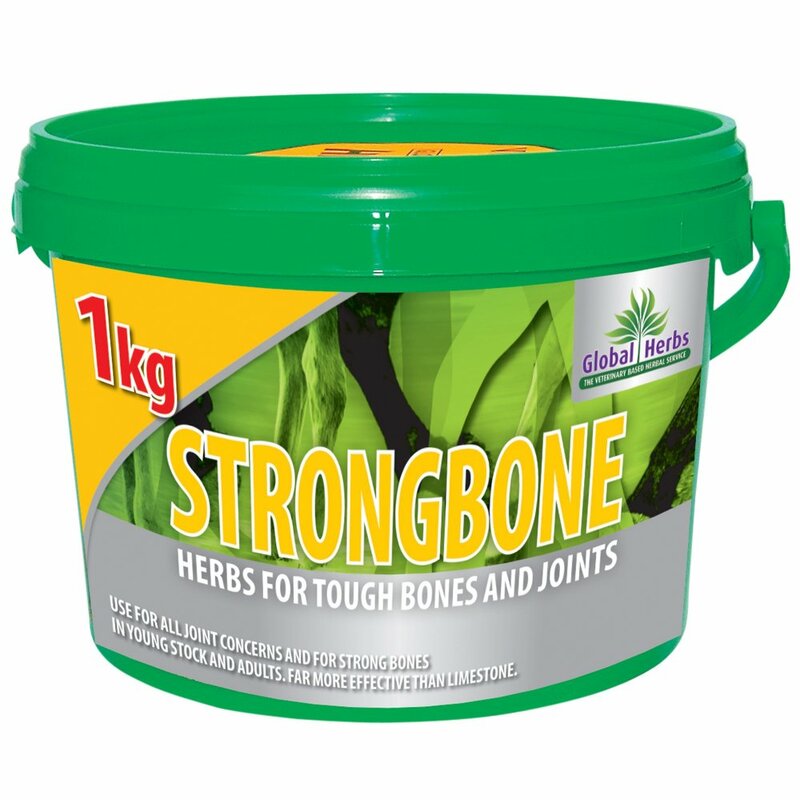 Global Herbs Strongbone is particularly effective for hind legs and hocks and when fed alongside Movefree Plus it helps to lubricate the joints in this area.